7 Responses to "If Rickman and Hinds had a love child…"
Hahaha! I can definitely see the resemblance, Rickman around the upper part of the face and Hind for the hair, lips and shape of the face. …But just so you know. I can’t actually see your Rickman picture. It’s not visible on my browser for some reason. There! This picture is there now. Not sure why it wasn’t before. Hilarious! Why did I never see this before? 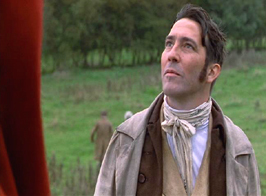 I will put it in my next “Ciarán Hinds Lookalikes” post.